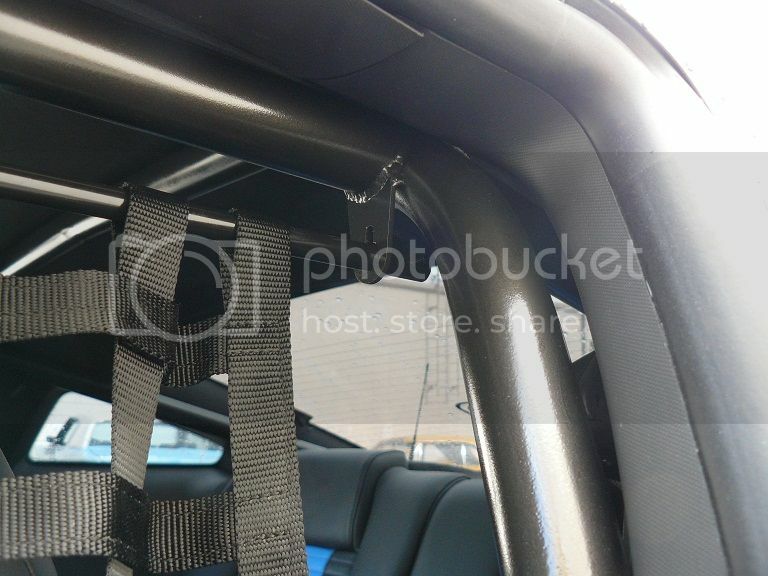 EXCLUSIVE: Lethal Performance 2011 GT500 Offroad X-Pipe! Lethal Performance is proud to announce that we're now taking pre-orders for our mandrel bent 3" offroad X-pipe for the 2011 Shelby GT500!! Just wanted to give a quick recap on our trip to the NMRA 2010 season opener at Bradenton Motorsports Park last weekend in Bradenton, FL. The weather was perfect. Cold, sunny and clear skies. Jeremy Martorella from UPR Products loaded up the car and the motorhome and made his way up to the track Wed night. I met him at the gate just before they opened up on Thursday morning. We set up camp, unloaded and prepped the car. After our first few test runs it was apparent that some changes we made to the car weren't working out too well for us. So with the help of Jeremy and the crew from Dex Racing we swapped in the original parts and thought everything was good to go. Even after that the car just wasn't cooperating with us. Although we never got any good passes Jeremy advanced us to the quarter finals in the Modular Muscle Class. 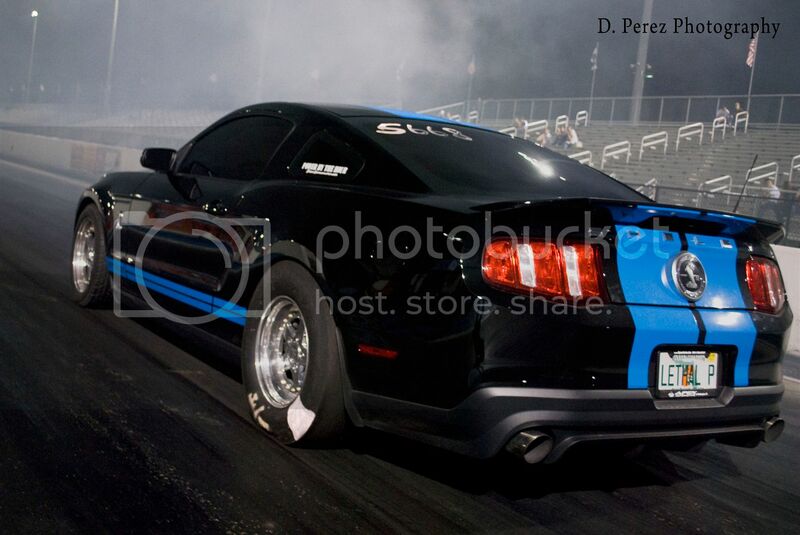 Here's a pic of our car launching compliments of Mike Galimi. Thanks Mike! It was great seeing everyone at the event. Although it felt like a set back for us we've still got one thing on our mind... A 8 second pass with the factory 6 speed. We're not giving up until it's done so stay tuned. Thanks a lot to everyone for all of their help and support. Jeremy Martorella, Tim Eichorn, Mike Dez, the DeMarco brothers, Mental Midget, Telly, Jon Lund, UPR PRoducts and everyone else who came by to say hello to us. The Lethal Performance 2010 GT500 is now NHRA certified to 8.50. 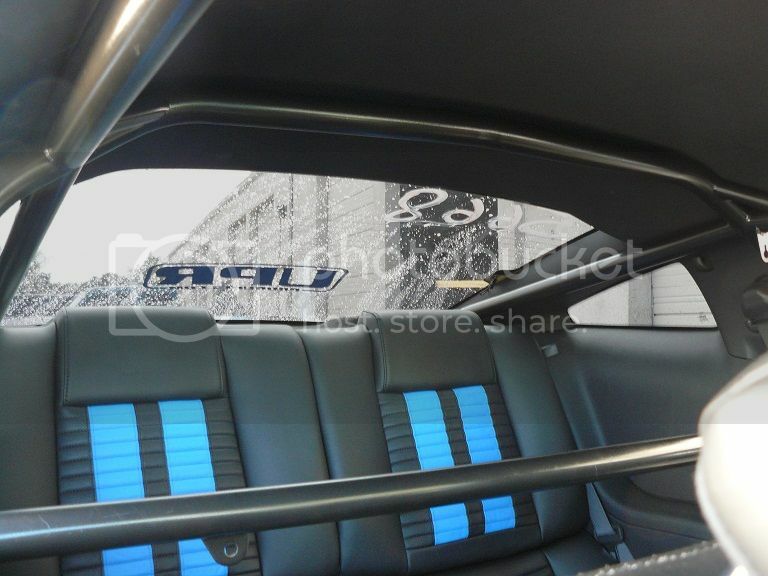 Thanks to Dave Dodge of Tig Vision welding for fabricating the sickest looking cage ever for a GT500. The car was brought back to Dave's shop this morning and inspected by an NHRA inspector. He himself couldn't believe how nice the cage turned out and was more than happy to bless us with a sticker of certification. After the car was certified I drove it back to the shop on I-95 just like as a street car should be driven. Well the time has come. Not only to become safe, but legal as well. 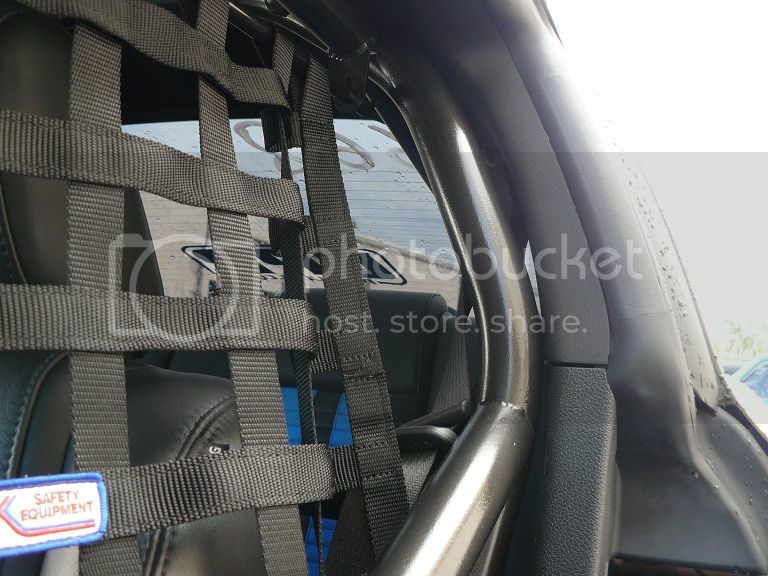 We're having an 8.50 0 point certified roll cage put in the car. Fully custom built by David Dodge who's UPR's cheif welder. 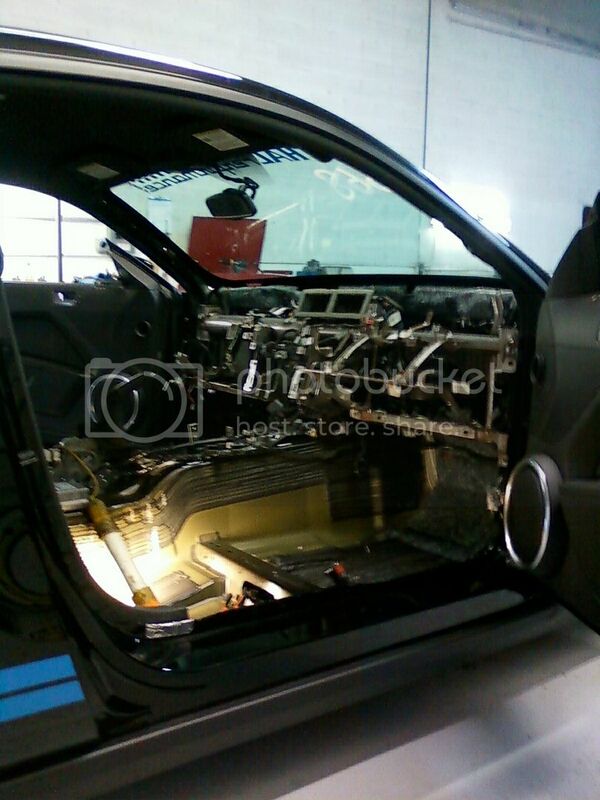 Here's a few pics of how things are coming along. Although scary to see it's just another step we need to take towards our 8 sec pass with the stock 6 speed. Oh Yeah!! Check how sick this turned out. 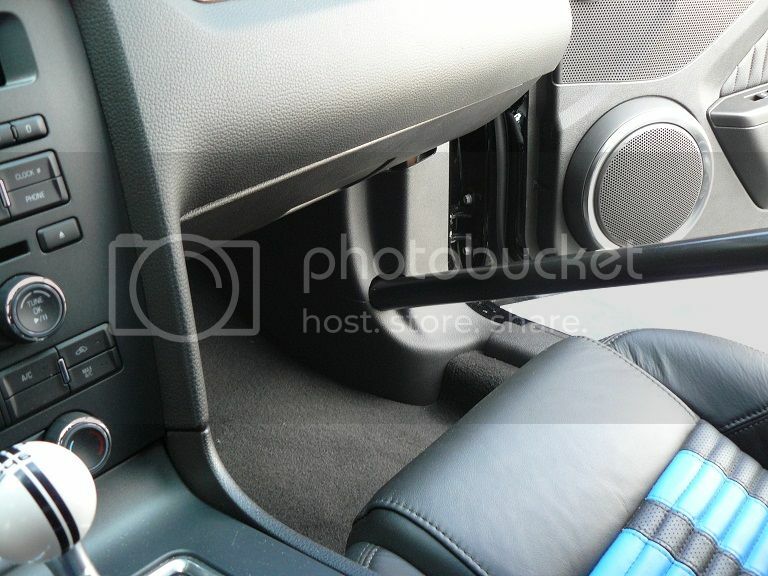 I'll be picking the car up tomorrow and can't wait to see it in person. Big thanks to Dave Dodge and Jeremy from UPR for helping us out. You guys are awesome. Here's a sneak peak of the photoshoot we recently did with smokin hot Jessica Barton and the Lethal Performance 9 second 2010 GT500. We're sure that everyone has seen the car already so it was time to add a little something into the mix and Jessica Barton was just the ticket. If anyone is unfamiliar with Jessica she's not only an amazing looking blond from FL but she's into racing cars like the rest of us. 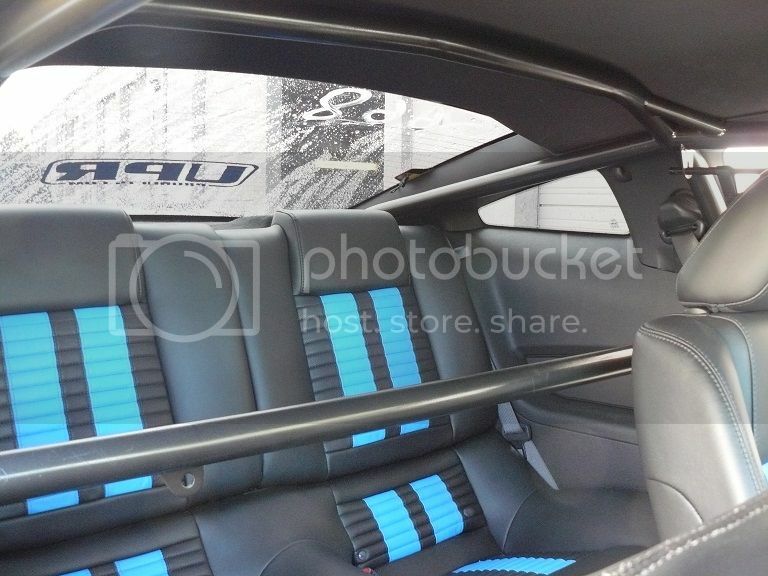 In fact she's been 9.00 in the 1/4 with her Supra and expects to see an 8 sec pass her next outing at the track. Oh... That's with a 6 speed as well. Yes, it's very impressive which is exactly why we wanted her to be a part of our photoshoot. 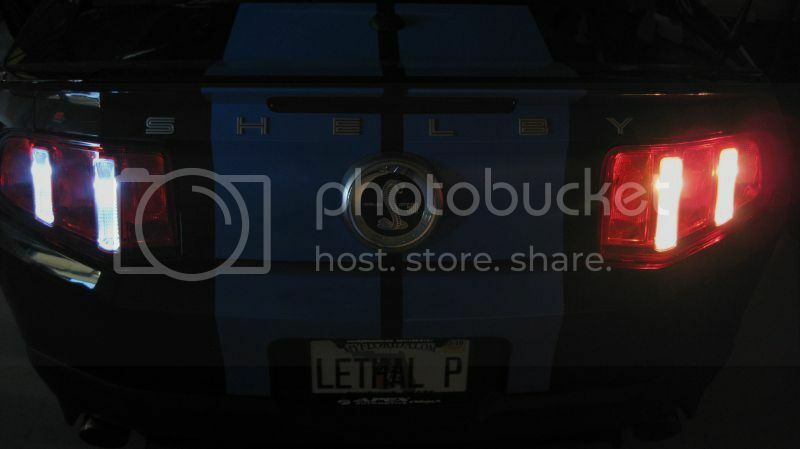 Be on the look out for the rest of the shoot, wallpaper downloads and a 24x36" poster soon to be available through lethalperformance.com. Lethal Performance 2010 Shelby GT500 goes 9.66@146.19mph!! Another great night at the track. 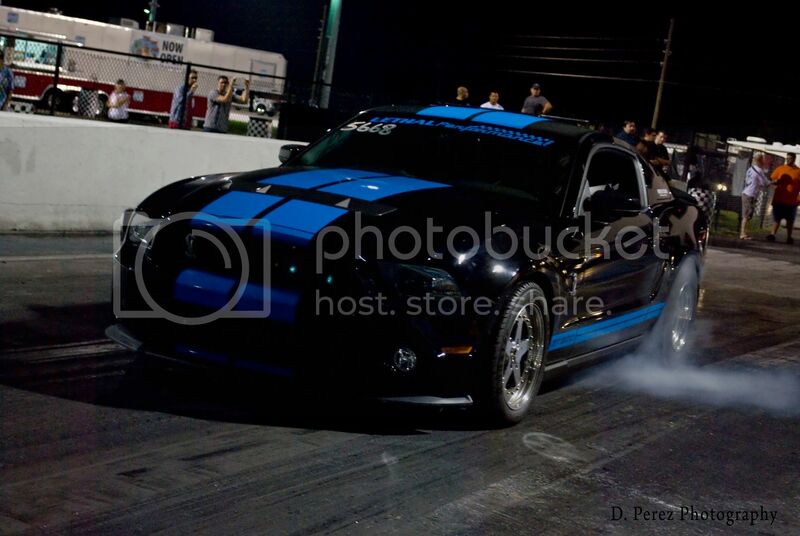 The Lethal Performance 2010 GT500 made its way deeper into the 9's cracking off a 9.66@146.19mph. The weather was in the 60's with a little bit of moisture in the air. Jeremy Martorella of UPR Products pulled the car up to the line for our first run of the evening. With the 2 step set at 2100 he made the launch. First gear looked awesome and so did the 1-2 shift.. However after the shift the car broke loose and started going sideways but Jeremy's professional race experience got the car back in the groove and down the rest of the track shifting as fast as an automatic could. As he passes the traps the board lit up with a 9.66@146.19mph. The car ran 114.14mph through the 1/8th. 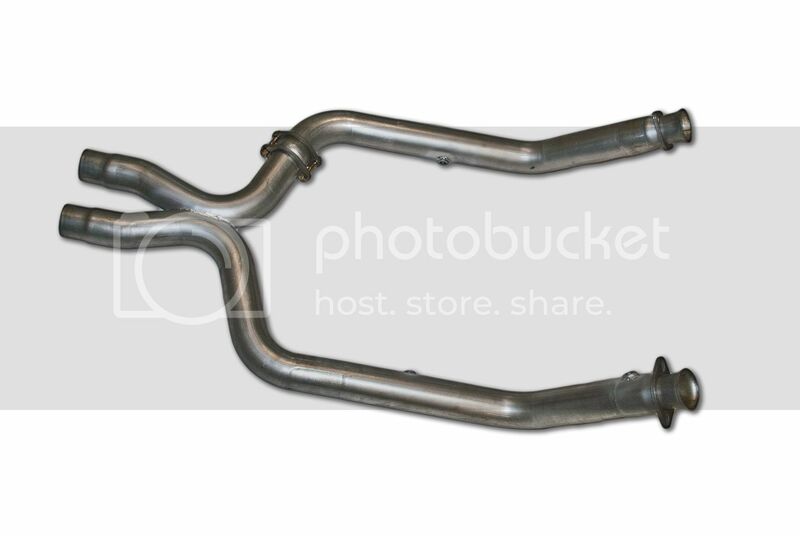 This is still using a 4" pulley on the 4.0L Whipple which produces 21.5psi. We were using C16 with no methanol and this is blower only. We're going to continue working on the suspension and once it's dialed in we'll turn up the boost. Our goal is to make an 8 second pass with the 6 speed making it the first GT500 in the 8's with a manual transmission. Big thanks to everyone involved. UPR Products, Whipple Superchargers, Boss330 Racing, Kris@ Champion Racing Heads, Power By the Hour, Jon Lund, Revan Racing, Shelby Performance, Steeda, Autosports, BMR Fabrication, SCT, Fore Precision Works, Reische Performance, Mustang Racing Performance, Bogart, Mcleod Clutches, Moroso Performance, The Driveshaft Shop and lastly all of our families, friends and customers for all of their support. Well we finally got to make it out again last night. The weather was nice with air temps in the upper 60's. We had our minds set on that 9 second pass. Our driver Jeremy Martorella from UPR had the car prepped and ready to go. After the burnout box Jeremy pulled the car up the the line. With a very nice launch and an awesome 1-2 shift it looked like a great run until the car for some reason nosed over for a second about 100ft after the 1-2 shift. It looked like the car stalled from behind and at that point we all thought that the run was junk. Jeremy stayed in it and the car looked like it moved out real nice down the rest of the track. We expected to see a 10.40 or so flash up on the board but instead it flashed a 9.97@143.98mph. I was amazed that we still managed the 9 with the "stall" issue. Had we not experienced that I believe we would have seen a low 9.80 pass. Not the best run but indeed the first time a 2010 GT500 has ever been in the nines making the Lethal Performance 2010 GT500 the fastest 2010 GT500 in the country. Unfortunately we weren't able to make another run because it started raining and got nasty. So with a nine under our belts next stop for us is 9.60-9.70's with the current setup. Then we're going to do a pulley change and work our way below 9.50. None the less is was an awesome night out with family and friends. Huge thanks goes out to Jeremy Martorella from UPR Products for not only propelling our car into the 9's but for everything else he does for us. Thanks bro! I also want to thank everyone else for coming out and helping with the car. Derek, Jessica and Chris. You guys are the best. Last but not least a big thanks to all of the companies that provide us with the high performance parts that it takes to make this car go fast. Whipple Superchargers, Al Papitto of Boss330 Racing, Fore Precision Works, UPR Products, Jon Lund of Lund Racing, BMR Fabrication, Revan Racing, American Racing Headers, Steeda, Driveshaft Shop, Bogart Racing Wheels, Project 321, Mcleod Clutches, Moroso Performance, Thump RRR Racing. Thanks guys!! 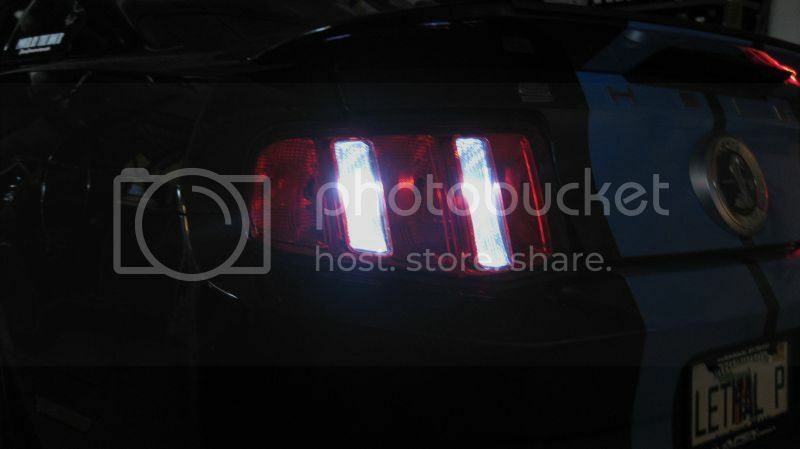 A customer of ours recently asked me if we had a LED replacement bulb for the 2010 Mustang reverse lights. 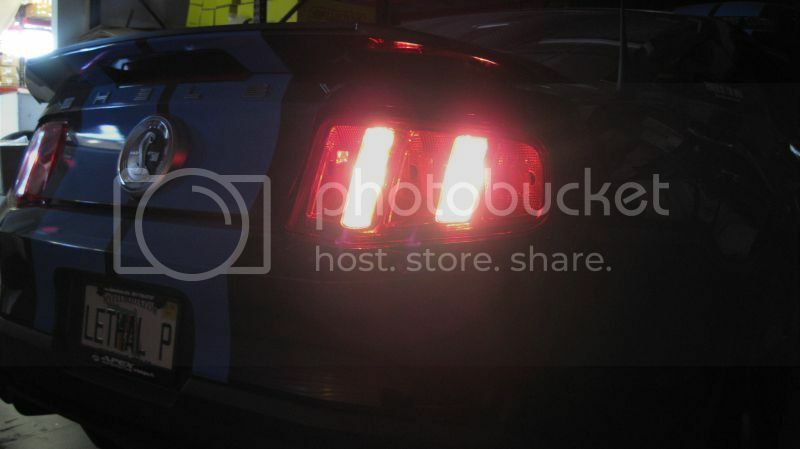 I was initially under the impression that the entire 2010 tail light assemblies used LED's. However after looking into it a little further it turns out that the 2010 still uses conventional bulbs for the reverse lights. 4 of them total to be exact. I found the proper bulb and went to town on our 2010 GT500. The installation is very simple. It can be done within 10 minutes. The results are even better than what we saw on the earlier models as the new LED look matches the rest of the 2010 tail light assembly. Best of all it seems that since there's already LED bulbs used on the 2010 there's already a resistor installed so the bulbs will not glow at all like previous models without resistors. Simply install the new bulbs and be done. 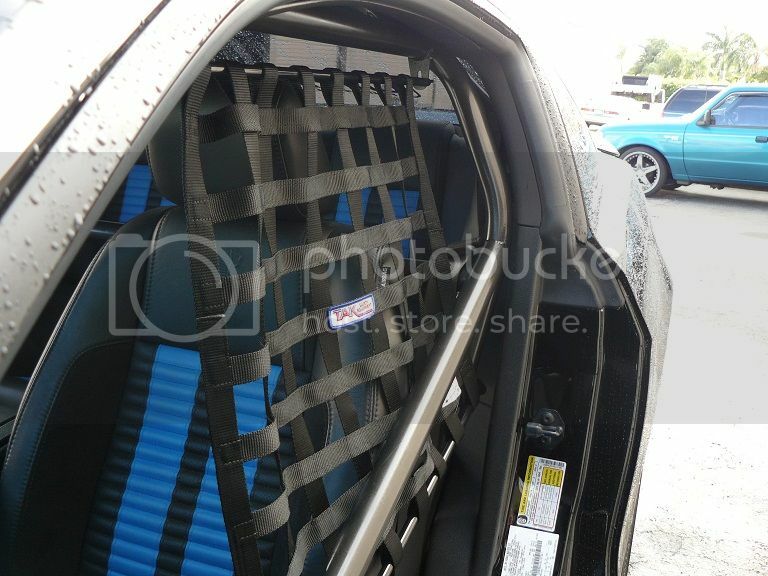 Below is a step by step installation I did this afternoon. I'll take a few more pics of the car once it gets dark but in person the new bulbs look awesome. You can purchase these bulbs directly from our website through the link below. You need (2) packs which is (4) bulbs total. Please feel free to give us a call if you have any other questions. 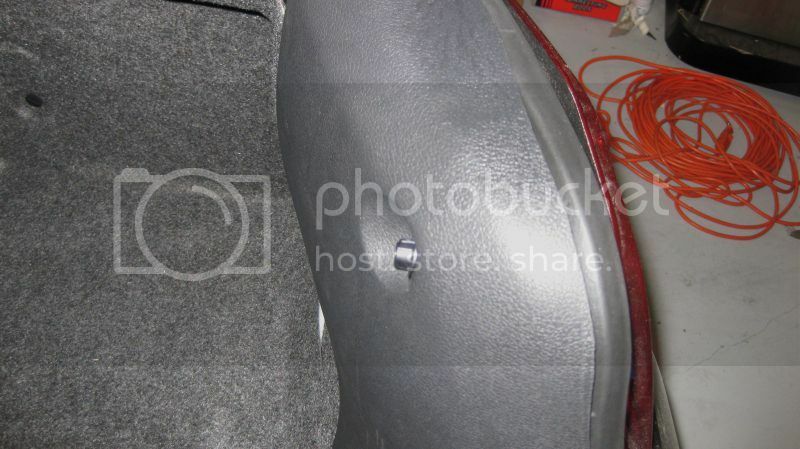 Open the trunk of your vehicle and remove the plastic push pins that hold plastic trunk liner to the sheet metal. Unclip the connector to the light assembly. 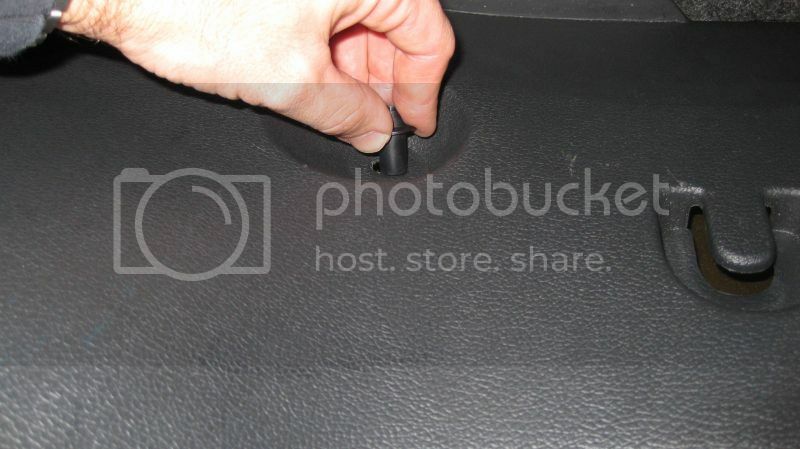 This will allow you to move the plastic trunk liner away from the wall and give you more space to work with. 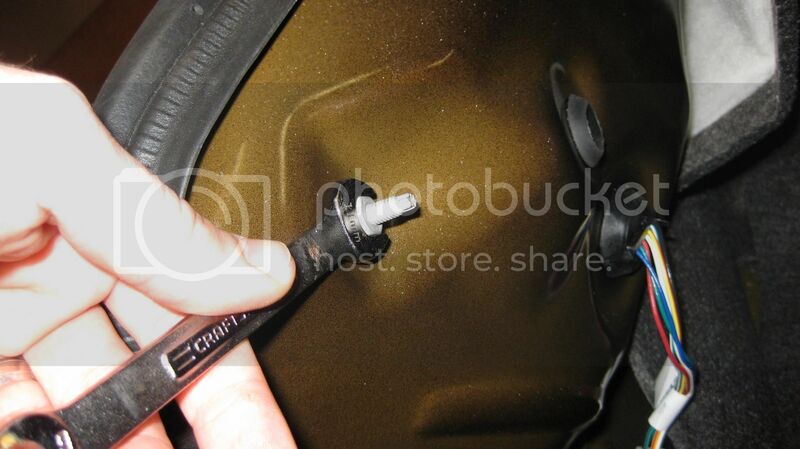 Using an 11mm wrench remove the (3) 11mm nuts from the studs that hold the light assembly to the vehicle. 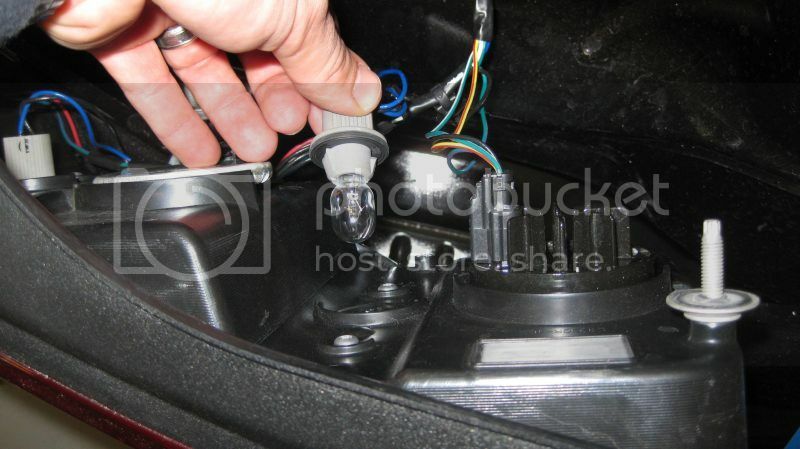 Pull the light assembly away from the vehicle. 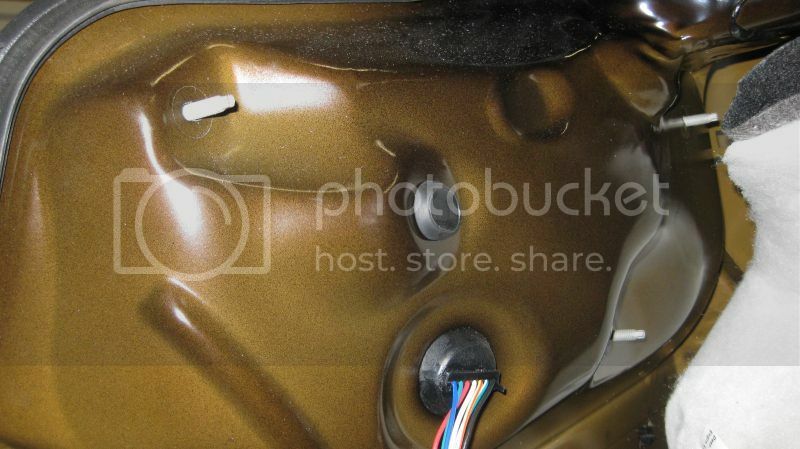 You'll see (2) white connectors on each side of the vehicle. 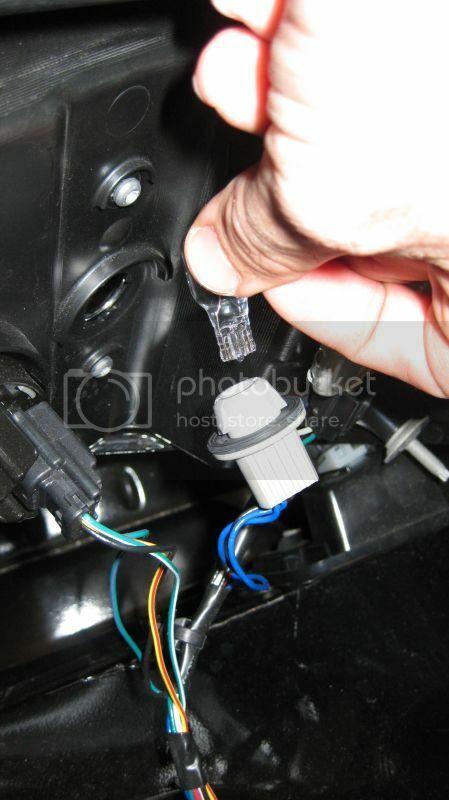 Those are the connectors that for reverse bulbs. 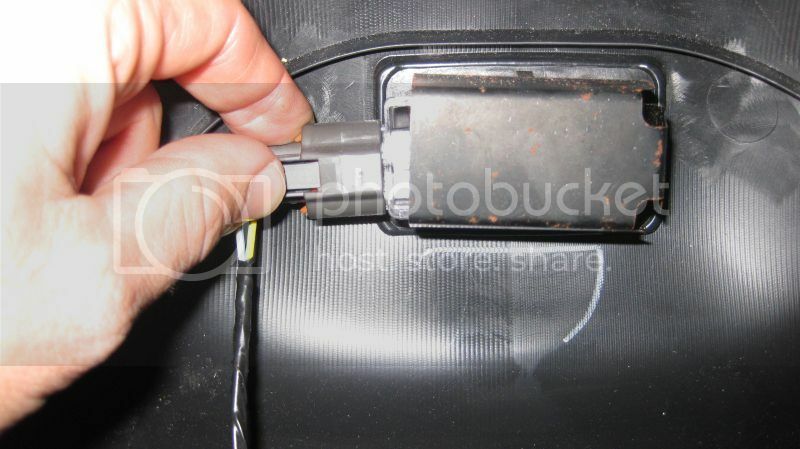 Turn the connector counter clockwise and remove it from the housing. Pull the conventional bulb out of the socket. Install the LED bulb in the same fashion that you removed the stock bulb in. 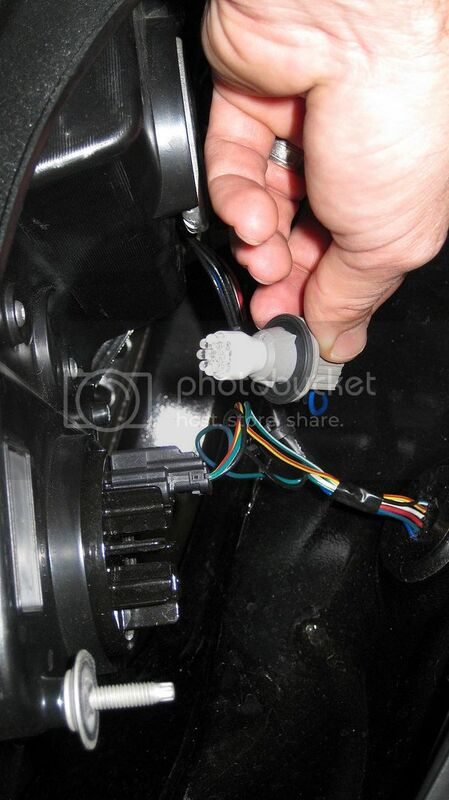 Do this for the (2) white connectors on the drivers side and the (2) white connectors on the passenger side. 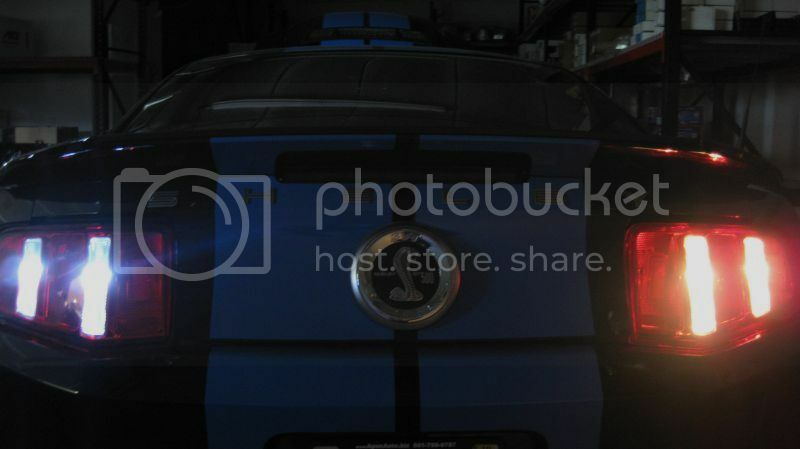 Now that all of the LED's are installed in place of the stock bulb you're going to want to test them before reinstalling the light housing assembly back to the vehicle. Because LED's are polarity sensitive they must be installed the correct way in order for them to work. With the key in the ignition turn the key to the on position but do not start the vehicle. Push in the clutch and put the car in reverse. Get out of the vehicle and go to the back of the car to see that all bulbs are working. If one bulb isn't lightning up remove it from the connector, rotate it and then put it back into the connector. The bulb should then light up. 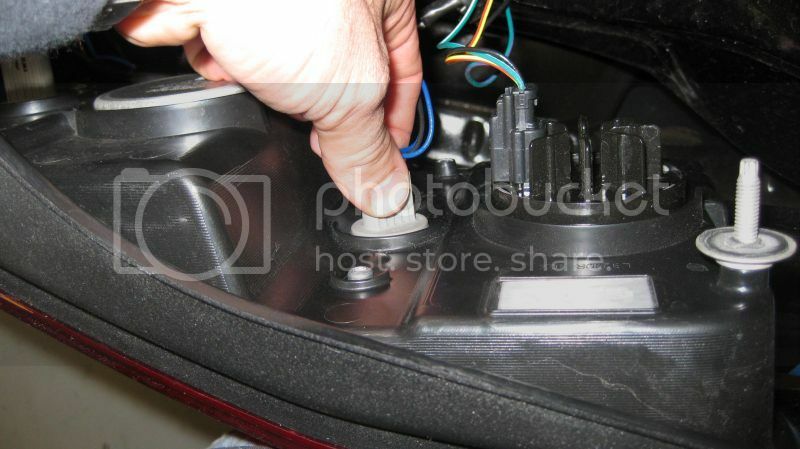 After checking that the (4) LED reverse bulbs are lit you can now start reinstalling the light assemblies back onto the vehicle in the same fashion you removed them. We had a fun time at the track last Wednesday night. Although we didn't do as well as we were hoping to we got a lot accomplished with the car and in reality did quite well. Just so there's no misunderstanding the car was making 21psi and was run on C16. No methanol was used. We dialed in the suspension a little better and we were able to cut a 1.47 60ft on one of the runs. 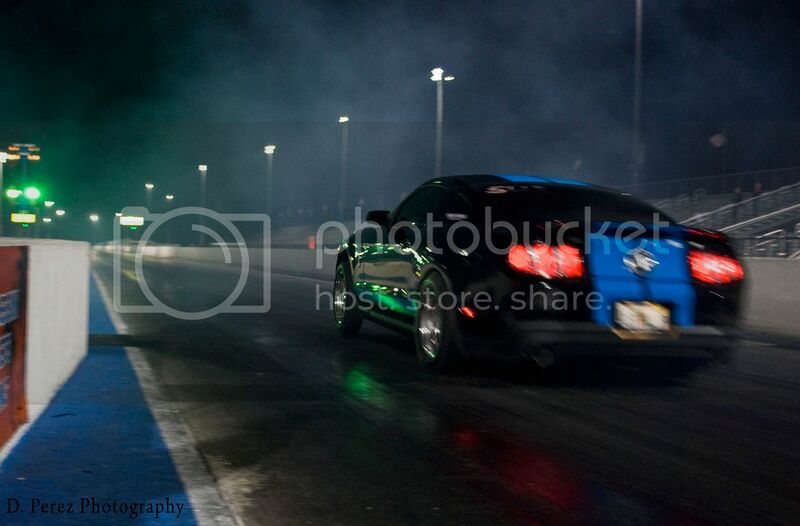 We also noticed that our stock diff is shot as we were only spinning one tire as we left the burnout box. So we'll be taking care of that this week. We also datalogged the car and Jon went over the logs with me this morning. The car was pulling 4 deg's of timing. So on our 10.09 run as we went through the traps we were only seeing 17deg of timing. He's not exactly sure why but we'll be looking into it this week. We didn't log IAT2's last night as Chris's computer was having issues logging a few parameters on our car. IAT2 being one of them. The other thing that was working against us was the weather. It was humid, muggy and we're still in the 70's. We kept scratching our heads trying to figure why we were going 2-3mph slower in the 1/8th than our last time at the track when we went 112+mph through the 1/8th. Between the crappy air the car pulling timing at least we know what was going on with the car. With that said we're going to keep on making adjustments, tweak the suspension and get the issues straightened out with why the car is pulling timing. In regards to the rear end we're going with 9" Axle ends, 33 spline axles and a spool. 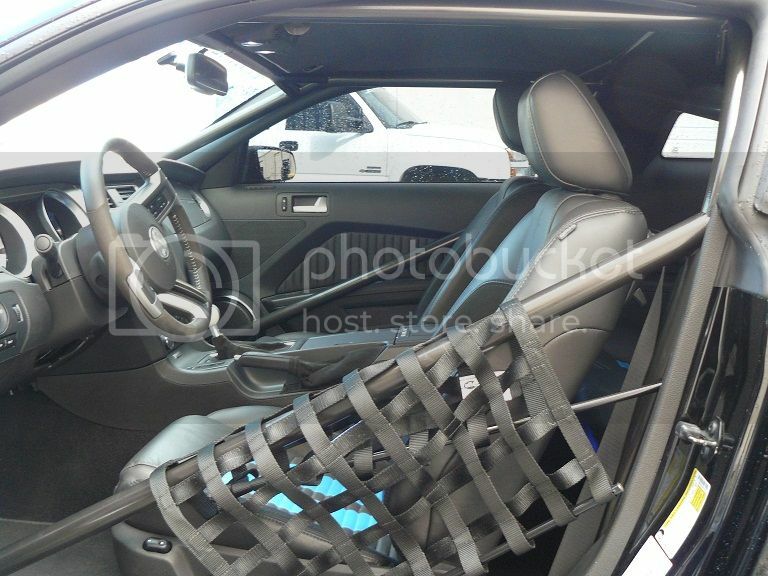 To this date the car has seen 3 full passes. For us to being doing what we are especially with the weather and with the car pulling timing we're doing great. It's easy for someone to say that we should easily being running a certain time because of the power we're making but there's a lot more to it than that. It's easy to strap a car to a dyno and make a number but taking that power and making it work for you at the track is completely different. Ask guys like Andy, Tony, Chris or any other person who runs fast times how many runs it took them to dial the car in. We can't expect to build a car, take it to the track for the first time and run the car to it's fullest potential. That's not how it works. We know that with how the car sits if we get the small issues ironed out and see some cool air we should see 9.60-9.70's. For now it's back to work and we'll be out at the track again soon. Big thanks to everyone that helped out with the car. Derek, Jeremy, Jake and of course big dog Chris (Sfadchi).